As a follow-up post of my spoiler post last night, UT POP-UP! MLA was officially launched today at Ayala Triangle, Makati City. Filipinos can expect the same UT experience at other UT POP-UP locations worldwide. 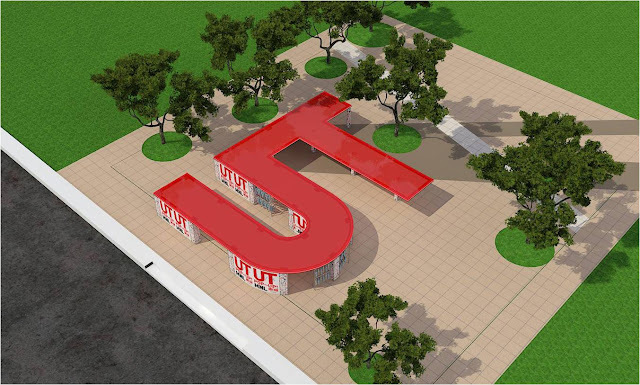 A huge UT sign is set-up right at the center of Ayala where one can see the various UT designs as well as other culture and arts display. UT CAMERA was also set-up and everyone is welcome to pose for a photo that can be seen globally. Those who wish to purchase new UT designs at a huge discount, a UT store is just across Ayala Triangle, at the 2nd floor of Paseo Center. UT POP-UP! 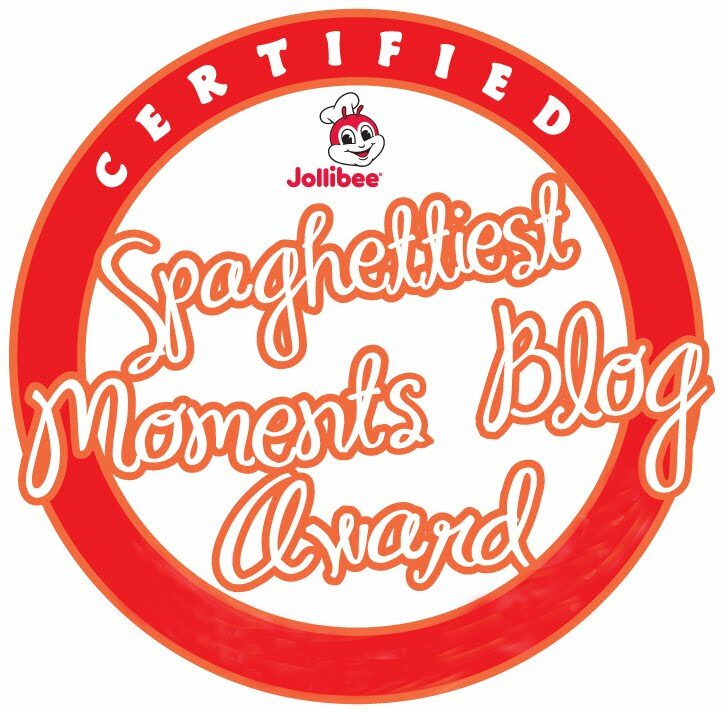 will last for two days, until April 26, 2013. UNIQLO opens UT POP-UP! T-shirt shops in central locations in major cities worldwide, as a new marketing concept and a first in the company’s ten-year history of selling UTs (UNIQLO T-shirts). Aside from the featured UTs and UT camera booth, there was also a gallery of beautiful art pieces made by Filipino artists. With large-scale pop-up shops in central metropolitan locations offering a limited, dedicated product mix, the initiative aims to broaden UNIQLO’s reach to its customers, to make fashion accessible to everyone and in unique and interesting locations. As part of the latest initiative, UT POP-UP! shops offer UT CAMERA, a new smartphone video app that turns one second personal looped video portraits into animation. Users can download the UT CAMERA app to their smartphone (iPhone and Android) to convert their video. 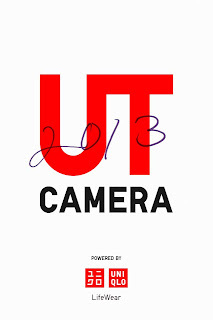 The footage can then be uploaded to the official UT website (ut.uniqlo.com) for those sporting UT apparel, and linked to Facebook, Twitter, and more for all users. So much fun with my gorgeous blogger friend, Jinkee Umali, owner of www.livelifefullest.com :) Also, I'm wearing the Madonna-inspired UT that was designed by Filipino graphic artist and runner up winner of Uniqlo's UT Grand Prix 2013, Karlo Victoriano. This shirt is now being sold globally. PhP200 Uniqlo discount coupon is given after striking a pose at the UT camera booth, and they can use the discount coupon at Uniqlo's special pop-up store located at the 2nd floor of Paseo Center. Limited edition shirts (UTs) are being sold at the UT store from 10 am-10 pm and new UT designs are available at a great discount. I got great finds, too! At the press conference that was held at MoMo Cafe in Ayala Triangle, we met the Filipino graphic artist, Karlo Victoriano, who was shortlisted at the top of UNIQLO’s UT Grand Prix 2013 (UTGP ’13) t-shirt design competition. 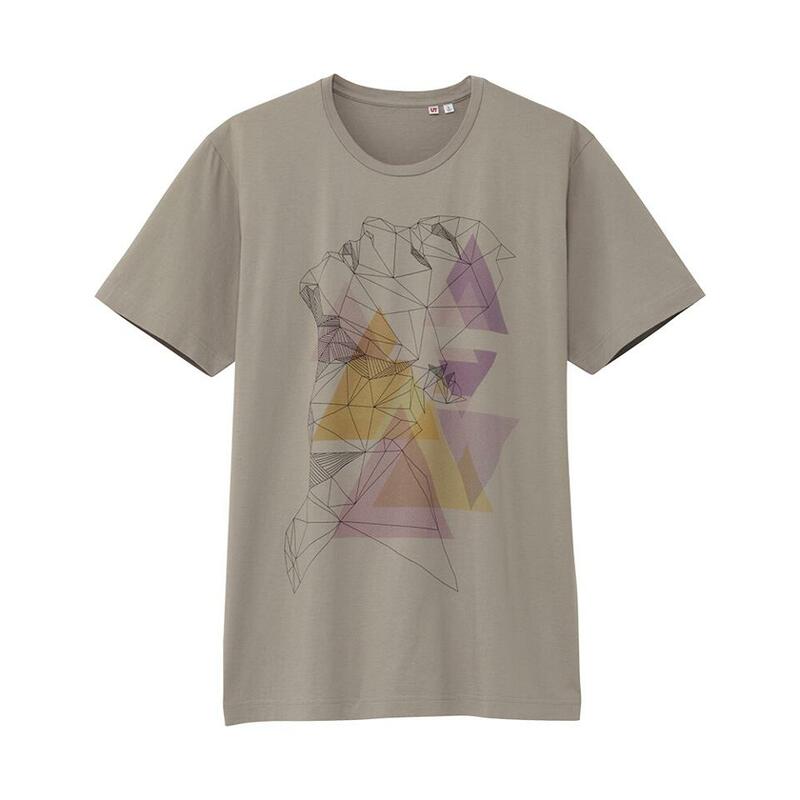 UTGP is an annual competition in which design professionals and enthusiasts from all over the world are asked to design a UT (Uniqlo T-shirt) centered on a set theme and submit it to the contest. The submitted designs are shortlisted and then judged, and the winning designs will become part of UNIQLO’s UT Collection that will be sold globally. At his young age of 23, it was really hard for Karlo to choose which music icon to design. He chose Madonna among the other artists because most of them were unfamiliar to him—except for the Queen of Pop. 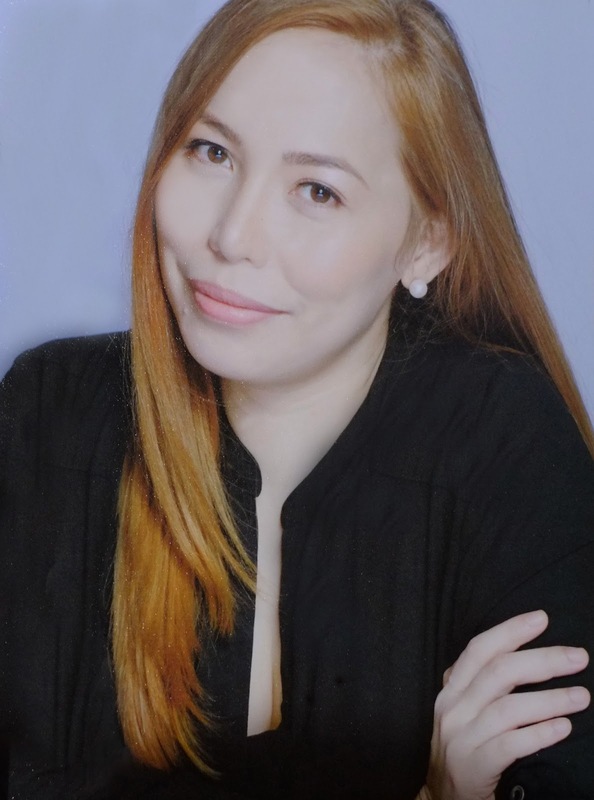 Karlo based his design on the portrait of Madonna seen on her “True Blue” album, her third studio album released back in 1986. The portrait was drawn with various geometric shapes overlaid with colored triangles. 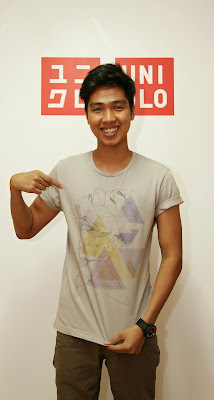 Catch the winning and runner up designs, including Karlo’s, which will be available in all UNIQLO stores worldwide this summer. To see the designs and other winners go to http://www.uniqlo.com/utgp2013/. Thanks for this blog entry! sarap magshopping sa UNIQLO ang products nila siguradong unique mga design at may quality ;-) da best!